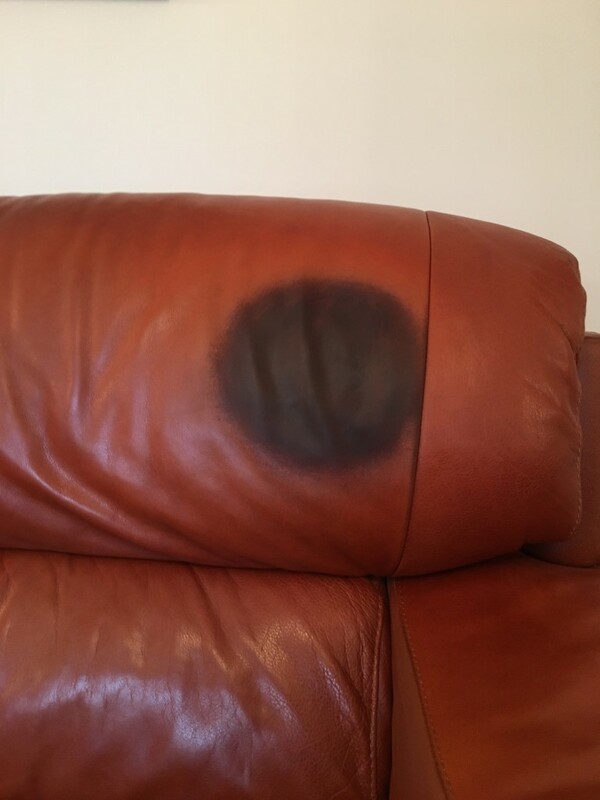 Greasy and oily patches on head rest areas of aniline leather sofas are a common problem. 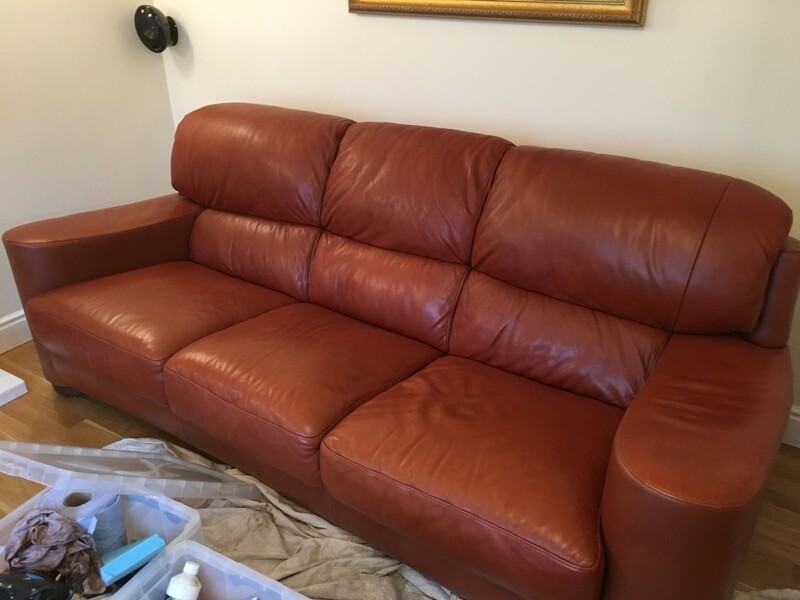 Whilst it may not be possible to completely remove the oils without damaging the leather we have treatments which can solve this unsightly problem without the need to replace the leather. This is a typical stain caused by oils from hair products etc. 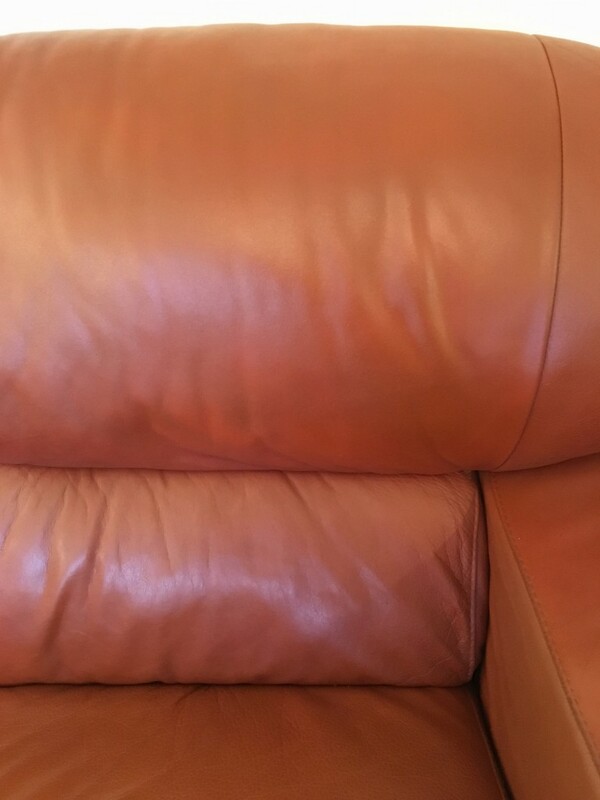 We have been able to treat the area and refinish to match on this semi-aniline leather sofa. The whole sofa looks great again. ©2013 The Leather Surgeons. Sheeplands Farm, Wargrave. Berkshire RG10 8DL.